As previously reflected/shared, TC staff have been meeting fortnightly with our PLGs at school to discuss our priority learners. Unfortunately I have had basketball games so have missed the discussions which take place. However, I try to keep in the loop by following the agenda and reflection points. This week the focus was around Culturally Responsive Pedagogy, particularly exploring Kia Eke Panuku (KEP). My group explained CRP as "a way to promote Maori academic success through students, teachers and whanau working together. 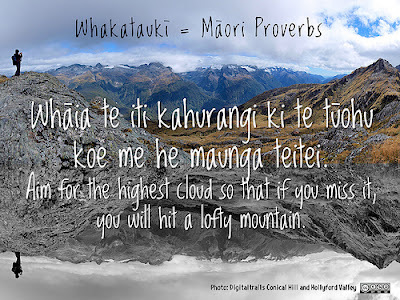 Authentic connections and a focus on Māori identity are supported by evidence based pedagogies". As our school's demographic is 33% Māori, this is an important pedagogy for us to explore. Please see our Slides from a KEP PD last year, with key reflective questions and discussions we had related to Māori's achievement as Māori. I attempted to breakdown CRP in an earlier blogpost. KEP is a professional development initiative to build schools achievement and success for Māori, as Māori. The Ministry of Education have developed Ka Hikitia, strategies to support Māori learners success in school too, which my PLG also explored. This resource breaks down critical factors, focus areas and guiding principles for Māori students' learning journeys to be enjoyable and successful, to prepare them for pathways in their futures. 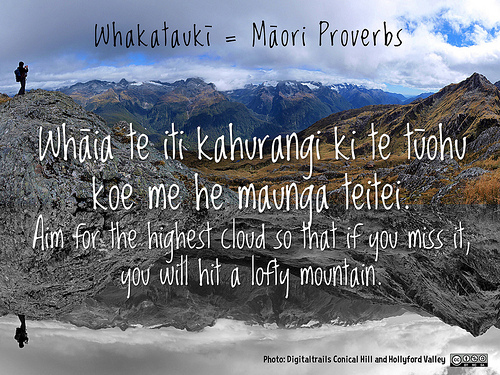 Although there are a variety of strategies and suggestions throughout Ka Hikitia, the part that stuck with me is the need to support Māori learners to believe in themselves and their potential. "Students with a strong belief in their capacity to achieve are more likely to set themselves challenging goals and put a high degree of effort into achieving them. Research has shown that the most motivated and resilient students are those who believe their abilities can be developed through their own effort and learning" (p. 25). I have been reflecting regularly about the lack of motivation and self efficacy some of my students have. Although majority of my students are more than capable of achieving, because they feel they are incapable, or they fear they are going to get something wrong, they would rather just not complete something. This has been evident in my 11PE class especially, and was evident in my senior classes last year. A few students really struggle to express their thoughts and struggle to complete their tasks. This is not a reflection of what they're capable of though, but a reflection of how little self confidence they have in their ability and/or little motivation they have to be successful. For this reason, I have selected three learners in my 11PE class who have 11 or less credits currently towards their NCEA Level 1 (expected to have over 40 by now), to be my priority learners for the second half of the year. I hope by continuing to try build students self confidence, giving positive feedback and affirmation when they are on track, and reinforcing ako within my practice and classrooms (the two way process of learning), my students' become more successful. Thanks for sharing Georgia, I find so many of your posts and tweets helpful and inspiring. I am pleased to hear! Thanks for your comment, it's nice to know someone is getting something from my posts! Is there anything you particularly enjoy reading? For some ideas what to post about? Thanks again. Just enjoy seeing what others are doing and considering different point of views. I am currently doing my learning inquiry on raising Māori boys achievement in junior PE with a focus on their literacy levels. Early stages but plan on providing improved scaffolding and high expectations with a hope that they will gain better levels by being able to explain and justify their positions and findings. Sounds really interesting! I look forward to hearing how your inquiry progresses. You should talk with Brendan and Jefferson from Ormiston; they're interested in literacy in PE to raise achievement! I'll try reflect/share more about what I'm up to in the future, ngā mihi. The strategy of supporting 3 learners works well because then you are able to get a better depth of understanding which will be reflected in changes to your teaching practice & thus benefit all learners. Thanks for sharing the link to those resources Cheryl, they look very useful!